Each of these areas has its own Early Learning Goals, and each child’s progress in all areas is monitored and recorded, enabling an individual programme of learning and development to be implemented. Parents can discuss their child’s progress at a parents’ evening or by appointment. The activities we offer are designed to support the learning of essential life skills: self-worth, autonomy, self-confidence, self-reliance, initiative, independence, co-operation, consideration for others and organisational skills. Each child, through practical ‘hands on’ experiences, is given the opportunity to develop to her/his maximum potential. We design our learning programme around topics, with weekly staff meetings to decide on topic-related activities. These activities are displayed weekly on site, and newsletters detailing topics are sent to parents/carers, enabling experiences to be consolidated at home. To extend topic work, visits to the Nursery School from, for example, a dentist, a vet and musicians take place. Outings are arranged to consolidate school-based activities, for example a trip to the local bakery to look at the different varieties of breads or a ‘Traffic walk’ to practise road safety skills. Music sessions under the guidance of a visiting music specialist take place twice weekly. Children play a variety of instruments, learn new songs and take part in creative dance and drama sessions. All these activities are planned to enhance our topic work. French lessons by a qualified French teacher take place on a weekly basis, and the emphasis is on learning the spoken language through practical activities, games and songs. The weekly circle time encourages an awareness of personal and social issues. Records are kept of each child’s progress in all areas of the EYFS curriculum, and these can be seen by parents at Parents’ Evening or by arrangement. The OFSTED inspection is a mechanism for ensuring that the care and education provided is of the highest quality. 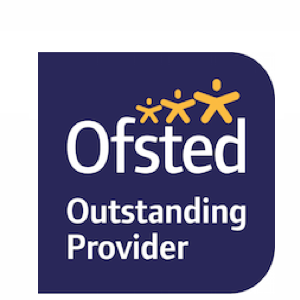 The Nursery School is required to have well-trained and qualified staff who are able to plan a well-resourced curriculum, which provides learning experiences in an atmosphere of care, enabling all children to make progress in their development and learning.The latest OFSTED report can be accessed here.